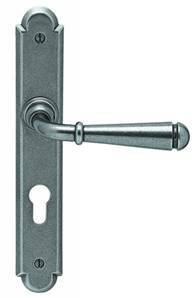 Dimensions: Overall the handle is 126mm long with a projection of 60mm. The 8mm spindle is secured to the handle with a hex grub screw. 7mm spindle is available as a special order. 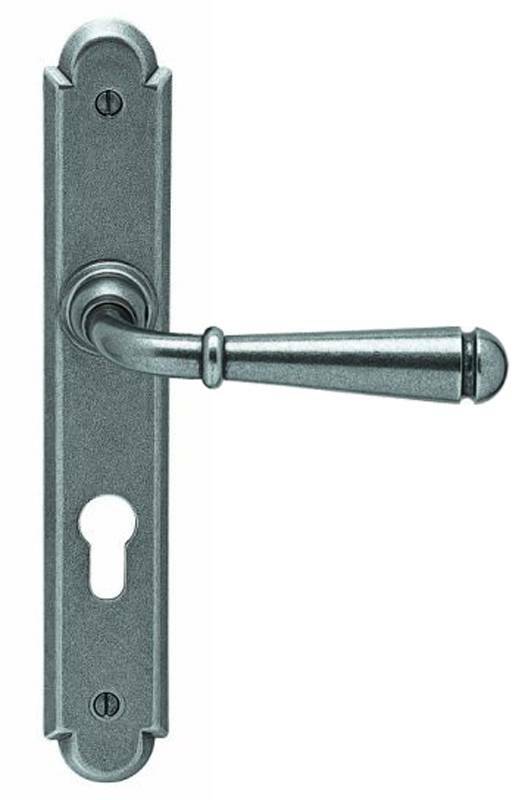 The Espirit De Forge lever handle sets includes a reinforced construction and disengageable springing which makes them suitable for use with multi-point espagnolette door locking systems. The Black and Patine finishes are suitable for external use but our simple maintenance instructions must be followed. Rust and brass finishes will tarnish over time when fitted externally. Pictured is Euro Profile in Patine - See below for other options.